When you’ve schedule your initial consultation, please take a minute to print and fill out the patient form before your first appointment. Our team will be glad to answer any questions you may have, and we will provide all the information you need to determine whether orthodontic treatment is needed. Please contact our practice to schedule your initial consultation. What happens after diagnostic records? You’re one step closer to achieving the smile you’ve always wanted! After your case oresentation appointment we will schedule your first appointment and, in most cases, Dr. Filippone will place your new orthodontic appliance(s). This appointment generally takes about one and a half hours and is scheduled on a weekday in the morning. During this time, our team will be available to make sure you are as comfortable as possible. 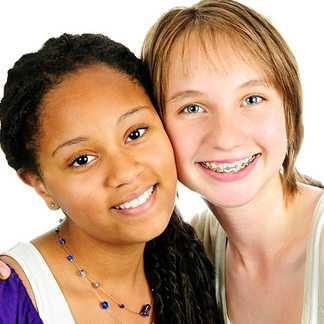 Visiting the orthodontist about every four to six weeks, in most cases, is an essential part of your orthodontic treatment. Our practice will work with you to make sure your appointments are as convenient as possible. When scheduling appointments, please let us know which days and times work best for you. We understand that “life happens”! If you’re running late or need to reschedule, please let us know and we will do everything we can to accommodate you. When you’re ready to schedule your first appointment, contact our practice and our friendly front desk staff will assist you. We’re looking forward to working with you.